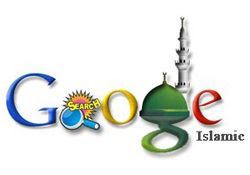 Google, the Internet’s ubiquitous search engine, is under fire this week for censoring negative search results about Islam. If you type “Christianity is” into the Google search box, there immediately pops up a series of suggested completions to the sentence, most of them derogatory: “Christianity is bulls—t,” “Christianity is not a religion,” “Christianity is a lie,” “Christianity is false,” “Christianity is wrong,” “Christianity is fake.” No positive suggests come up. Likewise with “Buddhism is,” and the sentence is once again completed with numerous negative suggestions: “Buddhism is wrong,” “Buddhism is not what you think,” and so on. But type in “Islam is,” and nothing comes up at all. The negative suggestions inundating the searcher for other religions are nowhere to be seen. Google, however, says it was all a mistake, and denies having done anything to favor Islam. “This is a bug,” insisted a Google spokesman, “and we’re working to fix it as quickly as we can.” Oddly enough, however, even with all of Google’s technical savvy, this “bug” persisted for days and continues as of this writing, long after Google’s announcement that it would quickly be fixed. It is also a remarkable coincidence that Google’s “bug” would appear in Google not about Judaism or Christianity or Hinduism or Buddhism, but in connection with the world’s most thin-skinned religion. The one religion shielded from adverse judgment at Google is also the only religion that is currently engaged in an organized campaign to stifle honest discussion about its texts and teachings that inspire violence. In 2008 the Secretary General of the 57-government Organization of the Islamic Conference (OIC), the largest voting bloc at the United Nations today, Ekmeleddin Ihsanoglu, warned the West about “red lines that should not be crossed” regarding free speech about Islam and terrorism. For years now the OIC has spearheaded an effort at the UN to compel member states to criminalize what it calls “defamation of religions,” but by which it clearly means any honest discussion of the texts and teachings of Islam that jihadists invoke to justify violence and supremacism. Interestingly enough, the OIC stepped up this campaign in the wake of the publication of cartoons of Muhammad in a Danish newspaper that touched off worldwide Muslim riots. Google, at the time those riots were raging, was dutifully removing from YouTube videos that depicted the cartoons.